This BB-8 is every woman's best friend! 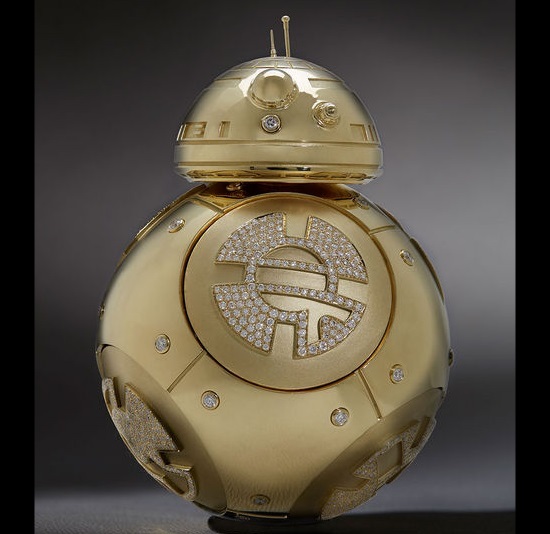 Disney Consumer Products and Kay Jewelers (the official jewelry company of Star Wars) created this stunning recreation of the scene-stealing robot. It stands four inches tall, weighs a pound and a half, is made of 18-carat gold, and contains 860 diamonds (a total of 18 carats). It took nearly 600 hours to complete!